Save 20%* on the best brands in 2-Channel Home Audio including Focal, Golden Ear, Rogue Audio, and more during our Black Friday Weekend Sale Event. 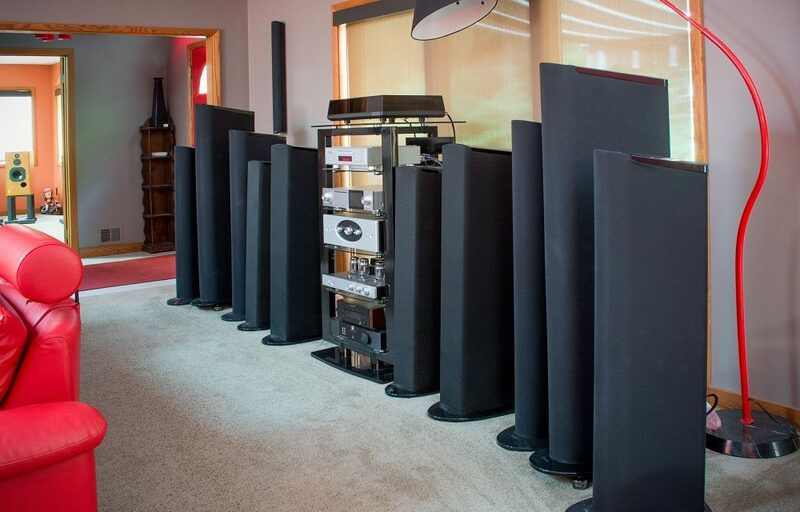 Our Home Audio experts will be on hand to answer your questions and help you find the perfect home audio solution. You can also demo the latest 2-Channel technology and our one-of-a-kind home theater featuring a 161-inch, 2.35:1 aspect-ratio screen 4K projected image and Dolby Atmos surround sound. If you’ve been thinking about upgrading your home audio or shopping for 2-channel high-performance components, you’ll definitely want to check out our biggest sale of the year! * Excludes Sonos, TVs, and Projectors, *All sale prices are IN-STORE ONLY, Music To My Ear gift cards and Perka offers are not redeemable during Black Friday Weekend Sale.